Craft House is happy to announce the addition of Megan Gray Stromberg to our team. Megan has been working with Craft House for two years and is now joining the team as Director, based in Colorado. 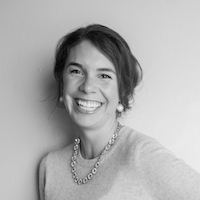 Megan is a Colorado native with a degree from the Cornell University School of Hotel Administration and fifteen years of hospitality experience including leadership roles at independent restaurants, luxury hotels, and ownership of family-run establishments. Prior to relocating to Colorado, Megan was the Director of Food and Beverage for St Regis New York and then St Regis in Atlanta. In 2013 Megan left Starwood to return to Colorado where she opened the BARley in Steamboat, Colorado, a beer garden and bar food destination featured in the New York Times travel section after opening. She has worked with Craft House since 2015. In addition to taking on a principal role at Craft House in 2017, Megan sits on the Board of Directors for The Colorado Restaurant Association and is President of Les Dames d’Escoffier Colorado Chapter. She is also passionate and active in both the Cornell Rocky Mountain Region Chapter and National Repertory Orchestra events.